NORTHRIDGE, CA. “The California Highway Patrol – West Valley Area and the Cal State University Nortridge Police Department will conduct a “Joint” sobriety checkpoint on Saturday, September 21, 2013 in the Northridge community,” CSUN Chief Glavin and CHP Captain Gordon said today. The sobriety checkpoint is part of our continued effort to curb drinking and driving. 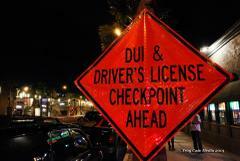 Motorists approaching a checkpoint will see informational signs advising them that a sobriety checkpoint is ahead. Once diverted into the lane, motorists will be detained only a few moments while an officer explains the purpose of the checkpoint. The sobriety checkpoint will be conducted in accordance with the guidelines for checkpoint operations in the Supreme Court decision, Ingersol vs. Palmer. He said that placing checkpoints on roads with identified DUI problems and detaining drivers for a very limited time “helps to assure we conform to the guidelines.” He noted that checkpoints tend to, “reduce the number of drinking drivers on the road, even though arrest totals do not rise dramatically.” A major value of checkpoints is their psychological influence. “We advise the news media well in advance whenever a checkpoint is planned, since extensive publicity also is viewed as a legal safeguard,” he said. NOTE: The checkpoint will be operated from 9:00 P.M. to 1:00 A.M. LOCATION: Lassen west bound lanes west of Zelzah.